» The Healthy Yards and Gardens initiative develops materials to educate Northbrook home owners, businesses, the Village, Park District and schools of the benefits of trees, native plants and gardens, and how to take care of them organically whenever possible. Volunteers work to build awareness of the ecosystems of insects and animal life that support plant life in our outdoor space. Supporters work to identify programs and processes to recommend to the Village of Northbrook and the Northbrook Park District that are actionable towards Northbrook’s Strategic Sustainability Plan goals as implemented on 11/12/13. 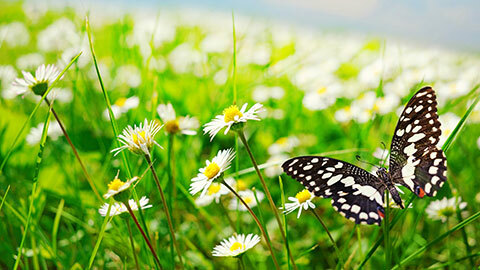 Natural lawn care resources are being gathered, so homeowners can learn best practices for taking care of their yards and gardens in a sustainable way that doesn’t harm the environment. If interested in taking part in this initiative, send us an email. Check our GGN Calendar for upcoming events and meetings. Dangerous chemicals on your yard? All residents are strongly encouraged to look closely at the ingredients in any and all lawn care products they buy. For a fact, 2,4-D is an extremely harmful ingredient. 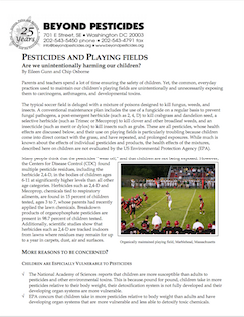 In 2014, GGN put together this brochure on pesticide facts (also herbicides and insecticides). 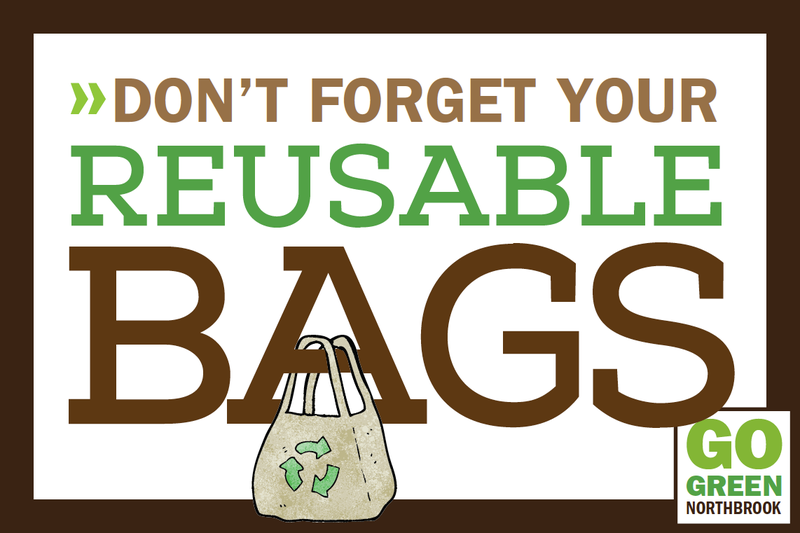 Please click the brochure image to take a few minutes to read through this important information. You can download and print as well. If you would like a copy, we have this brochure on hand at public events attended by GGN. The Environmental Working Group has set up a form for citizens to email your representatives about your concern about this dangerous ingredient. Visit their link HERE.